You might be surprised by how delicious and filling this Coconut Quinoa Cereal is, while being quite possibly the healthiest breakfast on the planet. Let’s look at the ingredients. Quinoa is a versatile whole grain that can be made into a salad, a lunch casserole, or a dinner side. 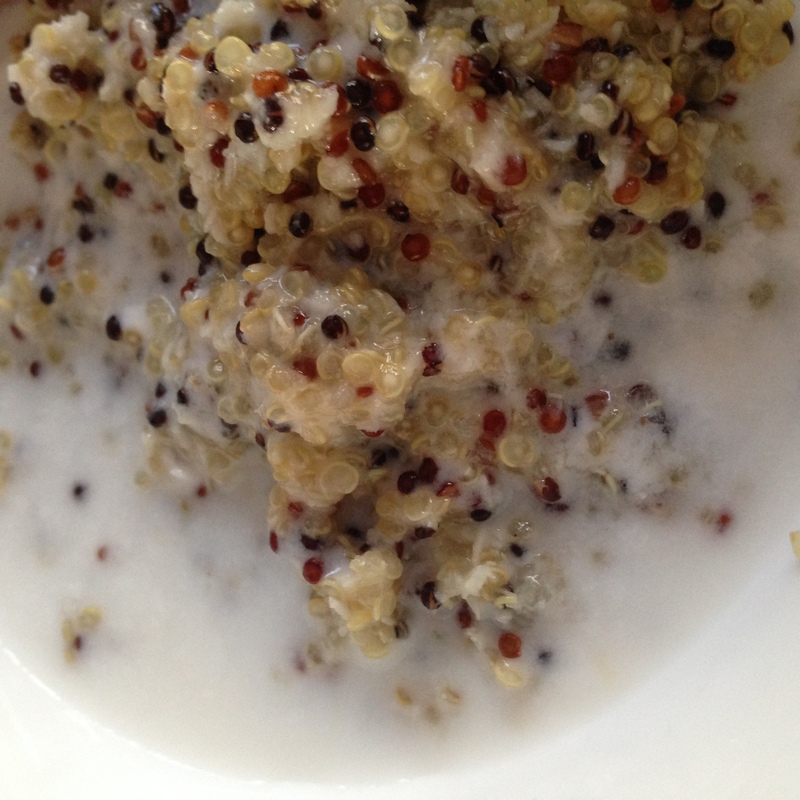 Quinoa is gluten-free, high in protein, and one of the few plant foods that contain all nine essential amino acids. It is also high in fiber, magnesium, B-vitamins, iron, potassium, calcium, phosphorus, vitamin E and various beneficial antioxidants. Don’t you feel healthier already? Now go and make this cereal. Heat the coconut milk until boiling. Add quinoa and cover. Lower heat to simmer until the coconut milk is absorbed but still slightly wet. Mix the shredded coconut in. Serve warm with maple syrup or raw honey and more coconut milk to taste. Makes 2 servings. Experiment with some of your favorite toppings. Sliced apples with cinnamon, berries, bananas, nuts. Have a happy healthy start to your day!